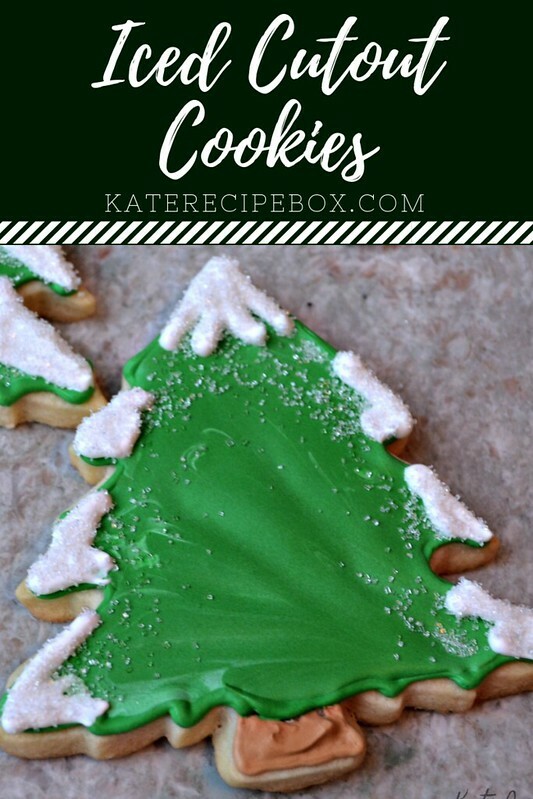 I was so excited when sponsor YumGoogle offered to send cookie cutters – it meant the perfect opportunity to share my go-to recipe. I love that this icing works when piping or just spread. I piped on the icing for the snow-covered trees, while the kids spread the colored icing for their trees. Honestly, there was nothing fancy going on here. 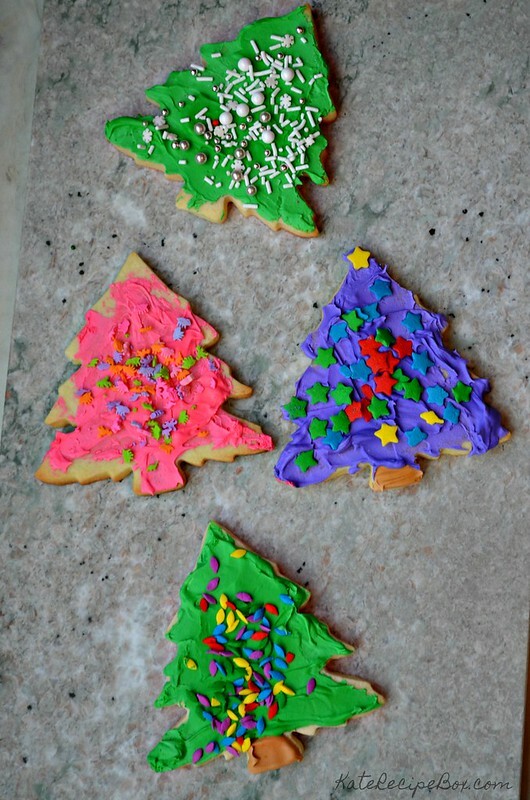 My icing tips have gone MIA with the move, so my trees were just made with icing in a sandwich bag with the tip cut off. After the green dried a bit, I added the white “snow” and sprinkled with white sanding sugar. I really love the rustic-looking result. In a stand mixer, cream together the butter and sugar. Mix until fluffy. Add in the egg, salt, and extracts and mix until well combined. Add in the flour, a little at a time, until well mixed. Roll out the dough between pieces of baking parchment to 1/4″ thick. Transfer to the refrigerator to chill for at least 30 minutes. Cut out the shapes once the dough is hard to the touch. Place on parchment. If the dough has started to soften, chill for another 30 minutes. Bake at 375 degrees for 7-9 minutes, until the edges just start to brown. Let cool on the baking sheet for 10 minutes, then transfer to a wire rack to cool completely. 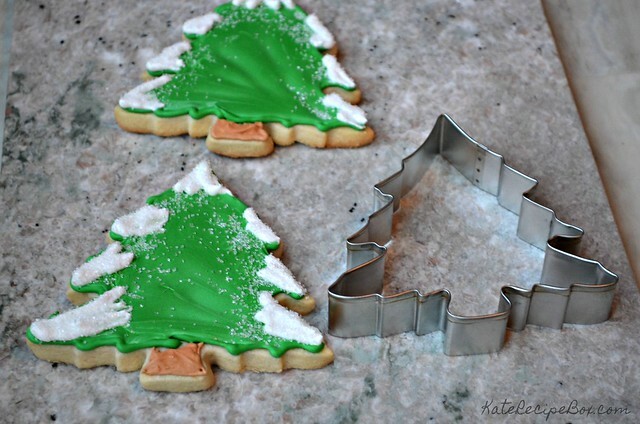 When the cookies are completely cool, make the icing. In a mixer, combine the meringue powder, corn syrup, vanilla, and water. Whisk by hand until foamy. Add the powdered sugar and hand-whisk until incorporated, then beat with the paddle attachment on medium-high for about 5 minutes, until the icing forms peaks. Add food coloring as desired. I love the touch of snow too!